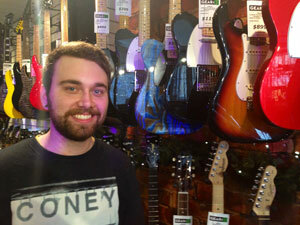 TAYLOR BARROW @ Gear Music: Canada's Best Online Music Store! Taylor Barrow has been involved in music and the Oakville music scene for many years. He started off with piano, attaining his Gr. 9 with the Royal Conservatory of Music. Moving his attention towards guitar he has been playing in bands for over 6 years. He has recently been attending Metalworks Institute for Audio Engineering. He loves to talk gear and can lend a hand with any of your pro audio and instrument questions.